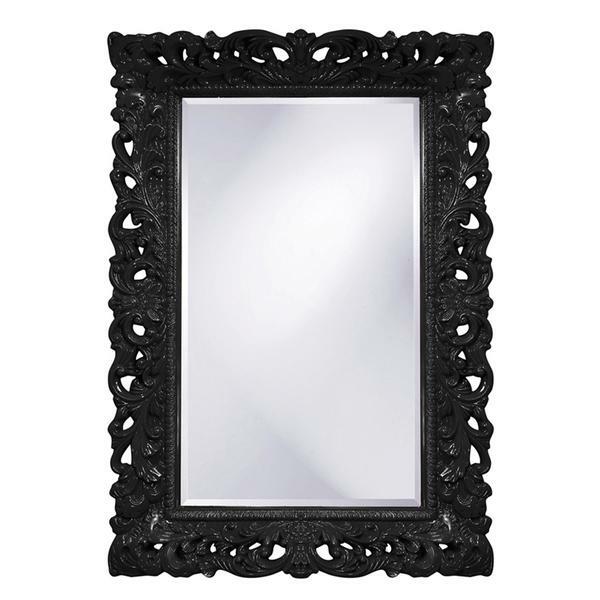 The Blackwell Mirror features an ornate rectangle frame complete with scrolls and flourishes. It is then finished in our custom glossy black lacquer. The Blackwell Mirror is a perfect focal point for any design. Hang either a horizontal or vertical orientation. The mirrored glass on this piece has a bevel adding to its beauty and style. The Blackwell Mirror is part of our custom paint program and is available in one of ten vivid colors. Customizable for larger orders.